When I was searching through the pictures for my previous blog post I came across this gorgeous picture that my oldest daughter took. I’ve been wanting a photo header for my blog but hadn’t really put in any effort to take one or find one. I pulled BooBear away (multiple times!) from her piano practice so help me decide. This frame or that? This effect or the other one? I used the text feature to add the name of my blog. Then of course she had to help me pick just the right combo of colors for the blog background. So what do you think? Isn’t the photo gorgeous! Have I mentioned that we’re a science loving family? Oh I have? Well,` be warned this is one of those “gushing about the product” type of reviews. I think one of the reasons we love science around here so much is that science is so “hands on”. You learn by doing. And it’s fun! We’ve been watching the Amazing Science Volume 1 DVD from ScienceandMath.com and having a blast. We’ve tried some experiments and we’re planning more. This two disk DVD set retails for $24.95 but is available from ScienceandMath.com for $19.95. They also offer a downloadable version for $17.99. On these two disks you’ll find 23 fun science experiments. Here’s a Detailed Description directly from the website: “Learn fundamental principles of science through Amazing Science Experiments! You'll learn about electricity, magnetism, heat, temperature, pressure, surface tension, buoyancy, and much more. I think Amazing Science! has an all ages appeal but may excite those in the grades 5 to 9 range the most. Supergirl (functioning at around a first grade level) did enjoy watching the videos but I’m not sure how much she grasped of the explanations. I enjoyed watching and even I learned a thing a thing or two. We even got my husband to watch a few of the experiments with us! My Bottom Line:This is an excellent resource for science. I highly recommend this DVD for home school co-op science classes. For home use this is a fun way to introduce science concepts to younger children and get them excited about science. For my girls this has been a great reinforcement of things we have studied over the years. Some of the experiments, such as ocean in a bottle, we’ve done before but others were new to us. Why do I like and recommend this 2 disk DVD set? Jason Gibson explains the science behind every experiment. He also stresses safety. I was impressed that he talked about getting into the habit of wearing safety glasses even when you don’t think you’ll need them (though in one experiment he didn’t actually put them on. The glasses were visible on the counter but he never actually put them on.) I like that, for the most part, the experiments use items we have around the house. A few of them require a trip to the store and I’m not likely to actually to do those with the girls but those experiments would be great in a co-op setting. I really appreciate that my girls can still watch and learn from those types of experiments. Instead of reading about it in a book and having mom go “uh no, I’m not going hunting for a copper pipe” my daughters can benefit from watching the DVD and still seeing the experiment done and hearing about the science behind the effect. Since this is labeled Volume 1, I look forward to the release of Volume 2! Visit the ScienceandMath .com website to find more DVD’s such as a DVD Course for Physics or a Basic Math Course DVD. I have loved every single product I have ever tried from The Critical Thinking Co., so it was no surprise to me that Crypto Mind Benders Famous Quotations would be a huge hit with my three “big” girls. We are no strangers to the Mind Benders series. It’s one of our favorites for developing reasoning skills. Crypto Mind Benders operates on the same principle. Use logic and reasoning to solve a puzzle. These are commonly called logic puzzles. Crypto, however takes it to a new level. Instead of solving to find out which person came from which house and brought what to the neighborhood BBQ, you uses math symbols (mathematical reasoning)o solve the key to unlock a famous quotation. These relatively inexpensive workbooks have even more value because you can buy just one to use for your whole family or classroom. Permission is granted to the initial purchaser to make copies of the activity sheets for one family or one classroom. We received the physical book ($10.99) but an e-book is also available (also $10.99). One feature that I love of the physical book is the perforated pages. I can easily tear out the pages and make the copies I need. In addition to the 30 activity pages, there is a Sample Activity to walk you through how to solve the puzzles as well as detailed solutions for all the puzzles. Recommended for grades 3-12+. My Bottom Line: I love these. I think Crypto Mind Benders are an excellent way to teach deductive and reasoning skills. They are fun (and addictive!). Crypto Mind Benders also works on mathematical reasoning skills. I also love that my children love them and while they have fun with the puzzles, I know that they are improving and building those critical thinking and reasoning skills that I want them to learn. Be sure to visit the Critical Thinking Co. website to see all the wonderful products they offer! I think the Mind Benders (and Crypto Mind Benders!) are my favorite but we’ve also enjoyed Building Thinking Skills and the Can You Find Me riddle books. In addition to Crypto Mind Benders: Famous Quotations, the crew also reviewed 3 other Critical Thinking Press products: Inference Jones, Mathematical Reasoning and Balance Math Teaches Algebra. Click on the banner below to read what my fellow crew mates had to say! All information is correct and accurate as of the date of this review. Tailorbear has recently expressed interest in all things science. She is especially excited about chemistry. Bright Ideas Press publishes a series of science books entitled Christian Kids Explore Science. As a member of the TOS Crew we had the chance to review the Chemistry book. Christian Kids Explore Chemistry (CKEC) targets 4th to 8th graders so my 7th grader, Tailorbear, fits solidly in that range. I choose to use the hints in the “how to use this book” section geared for advanced students. This means that Tailorbear read the material to herself and used this resource more of a self-teaching course. You can view a table of contents and a sample lesson on the website. CKEC recommends one lesson per week. The Lesson Plans, included on the Resource CD, break each lesson into two days of work. Teaching Time ~ This is the heart of the lesson. This is the material that an older or advanced reader would read to herself or the parent/teacher could read it aloud to younger students. There is even a suggestion that for much younger children or children who might have trouble grasping the concepts, the parent can read this material ahead of time and then explain to the students. Review It! ~ These are questions that follow the reading material. These questions are fill in the blank or labeling questions. I am using these as independent work that I can check and see how my daughter is doing. I would use these questions as discussion questions if I were reading aloud the teaching time section. Hands On Activity ~ First I love that they are not called experiments. Some of the activities are experiments where the student is asked to provide a hypothesis and test it but many are just great hands on activities to help make the concepts concrete. A list of the materials required are included at the beginning of every unit. So far all the items I have needed are items we have here but I have purchased many science kits over the years. I recommend reading through the materials list ahead of time to have enough planning time if you need to purchase or find something such as fine sand. Think About It! ~ I love this section. According to the “How to Use this Book” section, the “Think About It” sections are intended for the older students. The questions get the student thinking deeper about the hands on activity. They bring the Hands on Activity to a middle school/junior high level more appropriate for the 7th to 8th graders. Appendix B is a Resource List. Some general resources are listed first and then there are suggested resources to go with each lesson. I love love love love the Resource File. Why? Because it includes a Lesson Plan, Reproducibles, Supply List, a Catalog, Contact info for Bright Ideas Press and (cue drum roll music) a literature guide. I especially love the Reproducibles. These are aligned for easy printing and I can print as many copies as I need and I only have to print what we’ll use. This also makes it easier for Tailorbear so that she can just fill in the blanks rather than writing in a notebook (an activity she detests but she still has to write out the vocabulary words). Remember this resource is included when you purchase the 2nd Edition Christian Kids Explore Chemistry book. My Bottom Line: I like this product. Tailorbear enjoys the lessons and I can use the appendix to find suggestions to add supplemental material to go deeper. If I were purchasing this product I would choose the physical book over the PDF (which is not currently available for sale) because I prefer NOT to read on the computer. With a physical book, I would be more likely to be more involved with the learning process. That being said Tailorbear has had no issues with using the PDF file of the textbook. I think she likes being allowed to use the computer. Click on the banner below to read what my fellow crew mates had to say about the different Christian Kids Explore Science books All information is correct and accurate as of the date of this review. I have attended many different types of Orthodox services (there are still a few I’ve not yet made it to such as the Cannon of St. Andrew). I’ve attended baptisms, funerals, weddings, vigils, vespers, matins and variations in addition to different liturgies. I’ve been to most of the different services offered during Holy Week. (I have not yet attended the special Liturgy of St. Basil on Holy Saturday). Of all the different types of services I have experienced, The Bridegroom Matins is hands down my favorite. Our Parish serves these special matins on Sunday night, (for Monday), Monday night (for Tuesday) and Tuesday night (for Wednesday). Why are they my favorite? These services instill the anticipation of waiting for the Bridegroom. The atmosphere is somber as we begin to enter into the experiences of our Lord’s Passion Week. The special hymns of each day focus on different events. For example one hymn describes Judas agreeing to betray the Lord. But this isn’t really why they are my favorite services. I have yet to experience hearing the haunting melody and meditating on the words and NOT cried. Last night I thought “my heart is just so hard and I’m so grouchy and I doubt I’ll cry tonight because I’m just so out of sorts.” The exaposteilarion took me by surprise. (I was having a a hard time following the service because I’d had such a bad day.) But as soon as my heart heard the very first note, my heart melted and my soul joined in the prayer. “Make radiant the garment of my soul O Giver of Light and save me.” I am not worthy to enter in but He can give me garments so that I can enter. Pascha (Easter) and the joy of the Resurrection has so much more meaning for me because of the experiences of the services of Holy Week. This time we’re reviewing Looking at Lines from the Algebraic Thinking Series. Here’s the description from the Looking at Lines web page: “Introduce algebraic concepts in their natural setting with activities drawn from real-world phenomena. Covers three sub-groups of linear functions: proportional relationships, non-proportional relationships with positive slopes, and non-proportional relationships with negative slopes. Includes CD with printable student pages.” 32 activities span over 290 pages. This book is intended for grades 6-9 and retails for $24.95. A downloadable PDF version is also available. A section for the teacher: Here you will find information such as standards, background information, materials needed, procedure, answers and more. A Key Question with Learning Goals: These are included in the section for the teacher but are also available in the PDF resource in a pleasant graphic format. Pages necessary to complete the activity: For example this might be the pages of function tables to use in the “Zap It” activity or the X/Y strips for the “On the Level” Activity. We are using this as a fun supplement to our regular math studies. Tailorbear and Turtlegirl work together on AIMS activities 2 to 3 times per week. Sometimes they are able to complete the activity in one session and sometimes it takes longer. In the picture below Tailorbear and Turtlegirl work through “On the Level”. Instructions (and graphics!) are included to make a balance however since we already owned a balance the girls thought it would be fun to try the activities with a “real” balance. Thoughts from Tailorbear (age 13, grade 7): "I think it’s cool. I liked how you don’t have to do a math problem in order to figure out something. You actually get to make a balance or pulley. It’s fun, also hard, but fun. I want to keep using this. My Thoughts: I think we have only begun to scratch the surface of this resource. As I read through the introduction and flipped through the different investigations, all I could think was “wow, I wish I had this when I was learning about graphing lines.” This is a great way to show students how linear functions are used in real life. I know I wondered when I would ever really use Algebra in real life and I know that my daughters have asked that same question. My favorite feature is the CD-ROM that contains PDF files of the investigations. These are the pages that the student needs. I love that I can print as many or as few as I need and I love that I don’t have to fight with the book binding or tear out pages to make copies. Because my girls are 7th and 9th grade, they worked together as an independent team. I had minimal involvement. Together they would flip through the book to find an activity that interested them. Turtlegirl would print out the pages and together they would work through the activity. This works well for our family now, but if we had started this book when Turtlegirl was in 7th grade and Tailorbear in 5th grade, I think I would have needed to be more involved. I would have had to do more instructing, guiding and directing. I could see this being a great resource for a home school co-op setting. Visit the AIMS store to find lots of different activity books to enrich your math and science studies. You can also visit the AIMS page to learn more about the company. Check out the April 9th Crew Blog Post to read what my fellow crew mates had to say about Looking at Lines and other AIMS products. Check out the Crew Blog to read past Crew reviews of AIMS products such as the Earth Book. All information is correct and accurate as of the date of this review. Today is April 8th. The majority of Christians celebrate the resurrection of Christ today. If you are one of them, I wish you a blessed and spiritually fulfilling celebration as you shout He is Risen! For Orthodox Christians around the world, today is our Palm Sunday. It is the feast of the Great Entrance of Christ riding on a donkey into Jerusalem. It is also known as the Triumphal Entry. This morning when we enter into the building we’ll be greeted with the bright gold cloths and green vestments and lots of greenery. It will be crowded but it will be a joyful celebration! To all Christians everywhere, Happy Feast Day!! This post is linked up to Blogging Through the Alphabet hosted by Marcy over at Ben and Me. The Last Plea Bargain~ Tyndale House Publishers Blog Tour with Giveaway! Can you feel the excitement vibrate off this post? I loved this book and I get to give away a certificate for a free copy of this book courtesy of Tyndale House Publishers. You’ll find the giveaway information at the end of this post. The protagonist, Jamie Brock, is a prosecutor who describes herself as more of an Old Testament type of gal. She believes in justice “eye for an eye” style. As an assistant DA she has a strict no plea bargain policy. She works hard and believes in justice. Now the defense attorney who represented the man convicted of murdering her mother and shooting her father is the primary and only suspect in the murder of his wife. Will Jamie take a plea? Will she be able to see justice served or will she put revenge first? As a former lawyer wanna be, I enjoy a gripping legal thriller. I think this genre ranks as my favorite type to read. I’ve read other Randy Singer books and I love his plot twists and the way he probes at deep questions. I was not disappointed with The Last Plea Bargain. I love that we’re seeing through Jamie’s eyes. We’re right there with her, feeling her struggles. Mr. Singer keeps Christianity real by keeping his characters real. Yes, the gospel message of repentance and forgiveness is woven into the book but is done in such a way that you see the humanity of the Christians. These aren’t perfect people. They’ve made mistakes. BIG mistakes. Real life is messy. If you like legal thrillers, I highly recommend this book. With a gripping storyline, characters with depth and an intriguing back story, The Last Plea bargain is entertaining and thought provoking. 2. The Last Plea Bargain is loosely based on a case you tried. Can you briefly share with us some of the details of that case and why it is special to you? 3. Your main character, Jamie Brock, originally appeared in your novel, False Witness. Why did you decide to bring her back, and will we see more of Jamie in the future? 4. Jamie takes a pretty hard stance against plea bargaining. How rampant is plea bargaining in the legal system and is it necessary? 5. While plea bargaining is part of the overall plot, at the heart of the book are the issues of justice and mercy. How does Jamie learn to balance those two? 6. What do you hope readers walk away with after reading this book? ***I received a complimentary advanced readers copy (ARC) of this book from Tyndale House Publishers. Over the last several weeks Turtlegirl, Tailorbear, and I have been working through a new writing program from the publishers of WORLD Magazine. Write with WORLD targets middle school students (approximately grades 5-8). I wanted to try Write with WORLD because it concentrates on “developing young writers who can think and express their thoughts through writing.” Though Turtlegirl is 9th grade and slightly outside the suggested age range, I think she is benefiting from the different angle that this curriculum uses. There is a strong emphasis on critical thinking and discernment. I encourage you to read the Intro to the Teacher’s Book. The introduction details an overview of the program and lists several distinctives. You can view a sample lesson as well. The Full Year Curriculum includes online access in addition to the Teacher Textbook and Student book. This is a two year program. We reviewed Year One which retails for $95.00. For purchasing options including a Year One and Year Two combo click here. I received the pilot version which included a Teacher Book as well as Student Book. The online website was not yet available at the time of this review. There are 4 Units and each unit is divided into 4 lessons. Each lesson is divided into four “capsules”. I like this division. The capsules are bite sizes pieces appropriate for one day’s assignment. For those on the younger side of the age range it seems a good pace. For those on the older side, it would be easy to double up on some capsules to either move at a faster pace or allow more time for another elective in the school day. Thoughts from Turtlegirl (age 14 1/2, grade 9):”It’s ok. I already to know how to do sentences and paragraphs but they did have some ideas on to discern a good paragraph from a bad one. Some of the discussions the program sparked were very interesting. For instance Tailorbear and my mom discussed how one paragraph might be better with a few changes. I like the fact that they talk about thinking before you write. I’m learning that less is more meaning using one strong adjective instead of a couple weak ones. Over the last few weeks with using this program, I’ve noticed that Turtlegirl has become more choosy with her adjectives and adverbs and consequently her sentences, though shorter are far stronger than before. Turtlegirl has a natural affinity for writing. This program seems to speak her language. She grasps it. She understands it. She’s becoming a better writer. Tailorbear and I do not share that same affinity and we seem to speak a different language. It is harder for me to always grasp the purpose of the lesson. Tailorbear is learning. She is getting something from these exercises but she also doesn’t instinctively get the point the way Turtlegirl does. My Thoughts: Though the approach doesn’t match my learning style I really like the bite size pieces of the capsules. I like the theory of the approach and I love how well this seems to suit Turtlegirl. I’m not sure how well this would work for a parent/teacher who does not have the confidence nor the experience to teach writing. I can’t quite put my finger on what exactly is missing but I can’t help feeling that I am missing a step in the process. The writers and contributors are all professionals. I think sometimes the program leaves out tiny bits that more natural writers or more experienced writers do not need but for those of us who struggle to write meaningful sentences we can be left scratching our heads. For example in the lesson I referenced above, on the day the student learns about choosing adverbs, Write with WORLD instructs her to “insert the best adverbs into her sentence.” Huh? What sentence. This was particularly bothersome for Tailorbear but didn’t seem to bother Turtlegirl. This is the pilot program and the actual program will be released this summer so perhaps some of these little details will have been resolved. Final Thoughts: There is enough about the program that I like and I love the results that I am seeing to motivate me to finish the program. We’re wrapping up Unit 1 this week and after our spring break we’ll come back and pick up with Unit 2. Click on the banner below to read what my fellow crew mates had to say about Write with WORLD. All information is correct and accurate as of the date of this review. Disclaimer: As a TOS Crew member, I received the pilot version of Write with WORLD free of charge to review. I am required to write a review but I am not required to write a positive review. This review contains my and/or my daughters’ honest opinion with, hopefully, enough detail as to why I/ we liked or did not like a product so that my readers can make an informed decision. I received no compensation. This is the last week of Lent. I haven’t been as diligent about posting about Great Lent and this week I’ve struggled with finding an F topic for Blogging through the Alphabet. I tried writing a post about Orthodox Fasting and Orthodox Feasting but I just couldn’t seem to get where I wanted to go with the idea. ... FAST from lethargy and FEAST on enthusiasm. I needed to read Abbot Tryphon’s words to remind me of the true meaning and purpose of fasting and I needed the suggestions for feasting. This post is linked up to A House Upon A Rock’s 40 days of Seeking Him and also linked up to Blogging Through the Alphabet at Ben and Me. 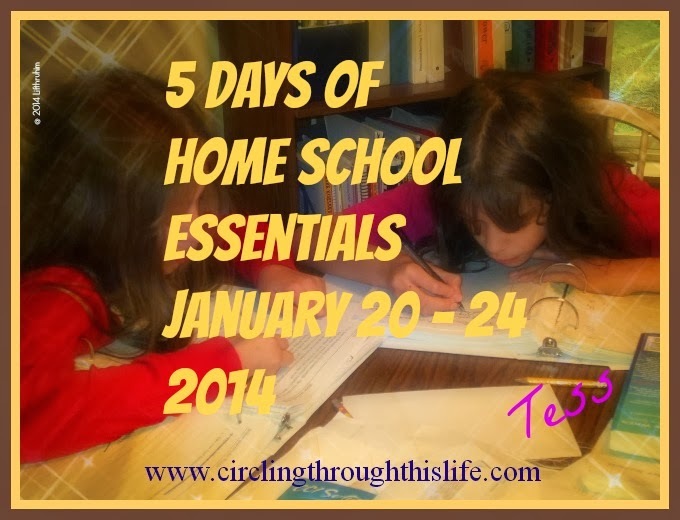 I had never heard of home schooling until August of 1996. A friend of mine mentioned in passing that she home educated her children. What?! Why? How? So the seed was planted. In April of 1998 I attended my first little home school curriculum fair. The local home school group moms each brought her favorite curriculum to share. One mom talked about Learning Language Arts through Literature and another mom mentioned something about a book based curriculum called Sonlight. It wouldn’t be until January 1999 that I really explored Sonlight. I had looked at several other programs and I just wasn’t happy with them. BORING textbooks and workbooks with silly things like “color the raincoat yellow because God made rain” (that’s science??!!!!). I devoured the 1998 catalog and put in my request for the 1999 Catalog which was released in April. In the meantime, I had baby number 4. My oldest was about to turn 4 and I was ready to try some formal preschool/k stuff with her. I fell in love with Sonlight. I knew that I wanted to use a literature based approach to teaching history. I wanted to read great books to my young daughters and introduce them to world around them. I wanted them to think critically about they are learning. I wanted to expose them to topics and ideas when they were ready and explore them to the depths of their interest. Marcy, our fabulous TOS Crew Blog Cruise director, asks this week what are our favorite history resources. My favorite history resource is the Sonlight Catalog. So many great books to use to bring history alive. Some are historical fiction, some are biographies. A few weeks ago the Blog Cruise asked what our favorite science resources are and I mentioned the library. I know we’re talking about history this time but I can’t help but mention the library as a great FREE resource to find historical fiction and biographies to bring history alive. My whole family loves history. Why? Because we love to read and reading all those great books that Sonlght introduced us to caused us to realize that history is about real people. It’s not just a list of dates and dead people. They loved. They laughed. They fought. They lived. I can’t imagine teaching history without using historical fiction. What is your favorite history resource? You can read about the favorite history resource of other crew mates when the link goes live April 3rd. In the meantime you can read past Blog Cruise topics on the TOS Homeschool Crew Blog.